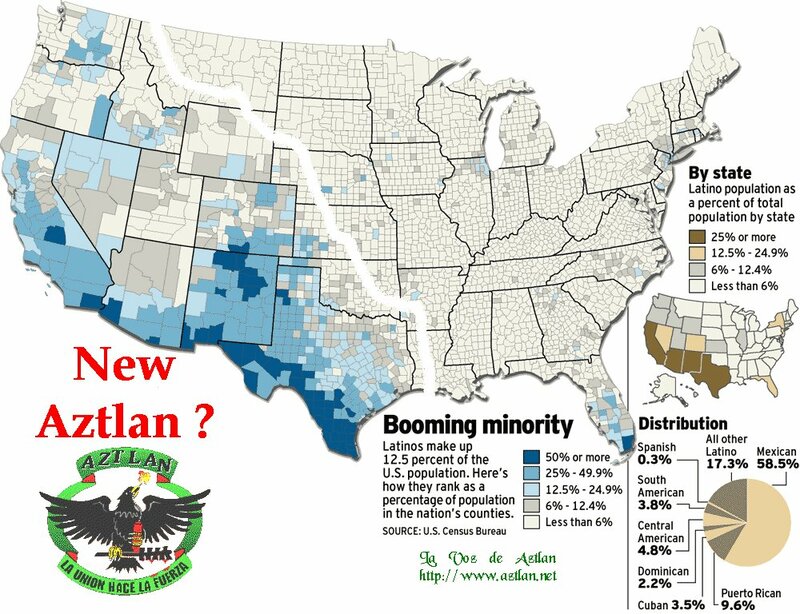 The issue of the illegal immigrants in th United States is a very complex one. Some sort of solution has to be found so that the legality problem is solved without affecting the human rights of people who is working. Here is a set of measures that I am proposing, just let me know what you think. 1. 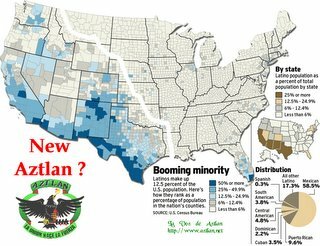 Close the border to illegal immigration starting tomorrow. Declare any new person who crosses illegally a felon and deport him/her immediately. 2. Give a 90-180 day notice for the 12 million illegal immigrants living in the country to report themselves to the authorities. 3. When reporting themselves, the illegal person should bring documentation showing that he or she has a job. Employers will be in the obligation to provide that documentation and will be assured that no measures would be taken against them. After that, the immigrant would be issued an ID card and would be given the assurance that they can remain in the country. The employers should start paying benefits. 4. Illegal immigrants who are unable to provide documentation of a job, should be deported immediately. In the case of a family composed of two parents and children, at least one parent should be working to avoid deportation for the whole family. 6. If, after a certain period of years, the immigrant (who would not be illegal anymore) is able to be always employed, he should be eligible for citizenship. 7. Crimes commited by the immigrant would mean immediate deportation. 8. After the 90-180 day period, to employ an illegal immigrant without an ID card would also be considered a felony. 9. A national ID card would have to be issued in order to avoid inconvenient situations with citizens of the US or with legal immigrants. Many of this measures are hard to apply, but they would assure that the illegal immigrants who are working as nannies or at the fields would remain in the country, would have a legal status and a pathway to citizenship. Productive people will stay. Employers will have responsabilities. There would always be abusive employers that would blackmail the immigrants, however, they would not have many people to choose from, so they would have to care for their workers. The issue of the national ID card is also a difficult one, but, if there is going to be a solution to illegal immigration, all citizens would have to participate. We have to remember that we are talking about 4% of the current US population. Oil is a natural resource. It exists deep in the Earth's crust, unevenly distributed in the world. It is a dark fluid that has a very high energy density, therefore, is ideal as cheap fuel. It is also ideal to form polymers, such as plastics and to obtain fertilizers, pesticides, electricity, etc. Oil is the foundation of the Western civilization and of the other civilizations that adopt Western ways of living. However, oil has not been an important part of our lives until well into the 19th century C.E. Once the Industrial Revolution could not sustain itself with coal, oil derivatives became the most important fuel. Nowadays, oil is everywhere in our lives. Transportation, agriculture, and hardware in general are just examples. Oil is a fossil fuel. So, by definition, it cannot be replaced. 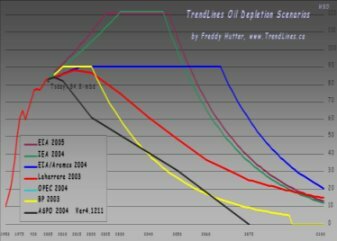 It took hundreds of millions of years for dead organic matter to become oil. Being oil a limited resource, I always wondered when we would run out of it and what would happen to our way of life. I did some research into the topic. I am not an environmental fundamentalist, but I understand that we need a better relationship with nature. I looked into many sources and always found the same answer: We are approaching a critical point in the history of this civilization. Some people argue that that point will arrive in 5 years other in 30 years. Some say that societies will disintegrate and everything will end up in nuclear war, others say that we will start a slow downward slope towards a new dark age. I must accept that it is the first time in many years that I felt true anxiety about something I was reading. It was not the knowledge that oil will finish because I knew that. It was the fact that events seem to be so close in our future and the fact that there is nothing we can do to avoid it. Even if we stop using SUV's and we switch to ethanol-powered vehicles. The food we eat travels 1500 miles before reaching us and, in order to grow sugar cane to form ethanol, we need fertilizers and pesticides, i.e. oil. What about the plastics? What about electricity? Some will say nuclear energy is the answer. Well, to obtain nuclear energy we need uranium. Uranium is not abundant, and, so as to extract it, we need to drill, and to blow up mountains, i.e. oil. What about solar and wind power? Too low energy density, too intermittent of a supply. The conclusions are pretty much obvious. Our current population is unsustainable. Some time in the course of this or the next generation we will experience economic- cultural-demographic decline in a planetary level. Nations and ethnic groups will fight for resources. States will fail to provide basic needs like security, education and healthcare. We will stabilize at a level which could be comparable to a pre-industrial society. How pre-industrial? I do not know the answer to that. The most pessimistic analysts say Stone Age, the most optimistic say Middle Ages. After all, it took between 1200 and 1300 years for Europe to recover Roman standards of living. My sincere wishes are that, after everything happens and we start to develop again, we become a species that lives in more harmony with nature. I am an atheist, but I would understand much more a polytheistic, nature-based, supernatural mythology than an intolerant nature-serving-man monotheistic folly. I also wish that knowledge is preserved. The great tragedy of the 4th till the 7th century C.E. was the systematic destruction of knowledge due to religious intolerance. We should preserve everything we can to make this transition less painful. This is is the date of the Ides of March of the year 44 B.C.E. It is also the date of the most famous magnicide of the ancient world. 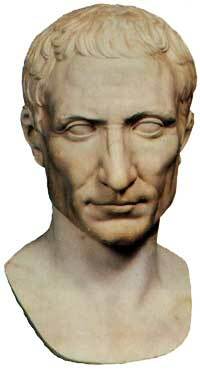 That day, Gaius Julius Caesar was murdered in the Roman Senate by a group of senators who desagreed with his ideas. The assassination by itself did not change history, it probably only delayed for a couple of years what was inevitable: the transformation of the Roman Republic in the Roman Empire. During centuries, since 509 B.C.E., the Roman system of government, was the Republic, which means "things of the people". The balance of power was divided between the consuls, who were yearly elected (two of them each year), the Senate, the tribunes, other different assemblies, and the Pontifex Maximus. As the Roman territory grew beyond the Italian peninsula, the system started to show signs of stress. These were social, political and military in nature, most of the consequence of the use of a system intended to hanldle more a city-state than a large territory. In 133 B.C.E, reform was clearly needed, Tiberius Gracchus tried to pass them, but the extremely conservative Senate did not allow it. Not only that, but political violence was inserted as one of the tools to deal with problems within Roman politics, Tiberius Gracchus and his followers were murdered. Many historians, believe that the Republic had its death sentence in 133 B.C.E. From then onwards, political instability, civil war, growing external threats and a disgruntled middle class undermined the Republican system of government to the point that Caesar could appear as a solution by concentrating power within himself. He became Pontifex Maximus and Dictator. The conservative senatorial faction, which was upset about the loss of traditions that were kept for centuries, plotted his murder. This did not change the trend. The Republic was not reformed, civil war continued and the Liberators were defeated in Phillippi by Marcus Antonius and Octavian(42 B.C.E.). Although the point of no return was probably crossed in 133 B.C.E, Octavian (Augustus) was not titled as Princeps (first citizen) and Imperator (a military honor of the victorius and powerful) until 27 B.C.E in order to establish the Principate, i.e., the Roman Empire. Epicureanism is a system of philosophy based on the teachings of Epicurus, who lived between the fourth and third centuries before the Common Era. After reading about it, I could consider myself an Epicurean since many of the teachings with the way I see things. In order to understand this system of philosophy we have to be familiar with 2 concepts. The concept of ataraxia and the concept of aponia. Ataraxia is Greek for a state tranquility, freedom from disturbance of judgement and freedom from fear. This state is achieved through knowledge. Aponia is another Greek term that means absence of pain. So, for Epicurus, the combination of these 2 states constitutes the key to achieve happiness in its highest form. For Epicurus all good and bad derive from sensation. The sensations that lead to pleasure are good and the sensations that lead to pain are bad. This has been misinterpreted as a rampant pursuit for pleasure, however, Epicurus was an advocate for moderation because he stated that excessive plasure leads to pain. Examples of this are gluttony, which leads to gastrointestinal discomfort and lust, which leads to eventual sexual dissatisfaction with the partner. In Epicureanism the value of friendship is so important that having a circle of friends you can trust is one of the most important means for securing a tranquil life. With respect to religion Epicurus was a visionary. 2300 years ago he embraced the atomic theory of Democritus and had a materialistic view of the world. He preached freedom from superstition in all its forms and stated that the gods, if they existed, they must be neutral entities. The famous Epicurean paradox states the following "Either God wants to abolish evil, and cannot; or he can, but does not want to. ... If he wants to, but cannot, he is impotent. If he can, but does not want to, he is wicked. ... If, as they say, God can abolish evil, and God really wants to do it, why is there evil in the world?" After the official acknowledgement of Christianity by Constantine, Epicureanism was repressed. Epicurus' theory that the gods did not affect human affairs had always been at odds with the fear-inspiring Christian God. Christianity got much of its philosophical foundation from the Stoics.